Thanks to its proximity to the Houston metropolitan area, Fulshear, Texas, has enjoyed significant growth over the last two decades. Hot summers and mild winters are generally par for the course for residents of this scenic community. At All Out A/C & Heating, we offer residents Fulshear air conditioning repair services to help them keep their cool indoors even when temperatures soar outside. We specialize in providing the best services at the best prices to ensure that you and your family are comfortable all year round in your Fulshear home. All Out A/C & Heating can provide you with the best and most effective solutions to keep your air conditioning unit in top condition all summer long. The entire team at All Out A/C & Heating is committed to providing you with the best and most effective air conditioning repair services for your Fulshear home. We have been in business for more than 25 years and have built a solid reputation for providing honest and reliable services for our clients. Our technicians specialize in identifying the most cost-effective solutions for repair or replacement of your HVAC system and in implementing these solutions to keep your home and family cool and comfortable even during the hottest days of July, August and September. We deliver the best and most responsive customer service and stand behind the work we do and the products we sell to ensure your complete satisfaction. At All Out A/C & Heating, we deliver Fulshear air conditioning repair services designed to keep you and your family comfortable all through the summer months. 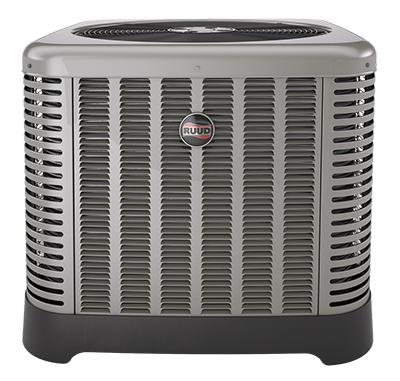 We work with you to ensure the most cost-effective solutions for your repair needs and can provide you with financing options for new Trane or Ruud systems. Our phones are answered 24 hours a day, seven days a week to ensure that we are available when you need us most. Call All Out A/C & Heating at 281-238-9292 to discover the best in Fulshear HVAC repair services for yourself.